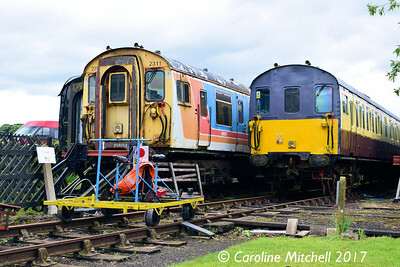 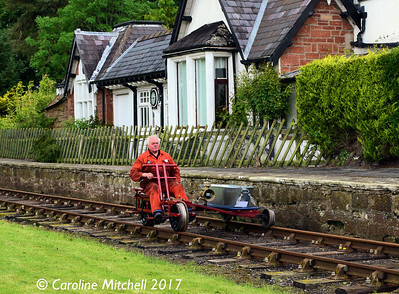 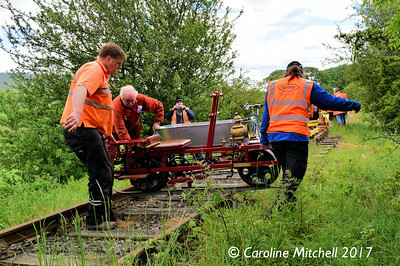 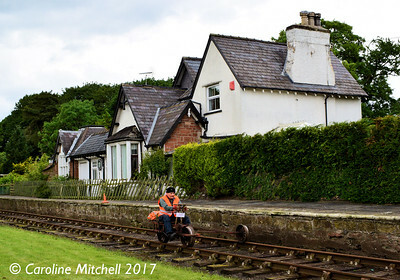 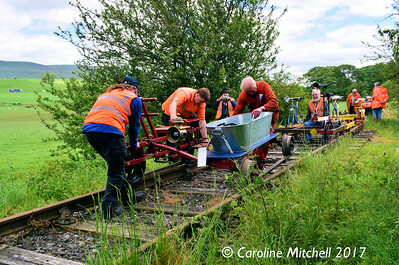 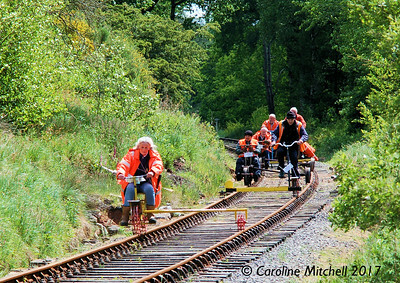 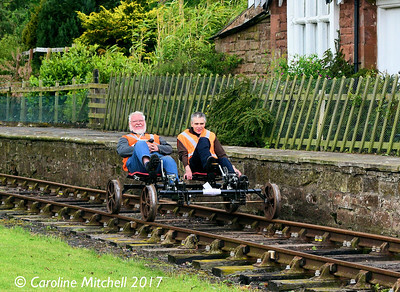 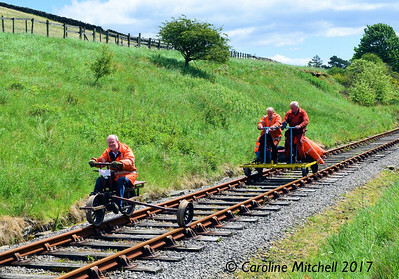 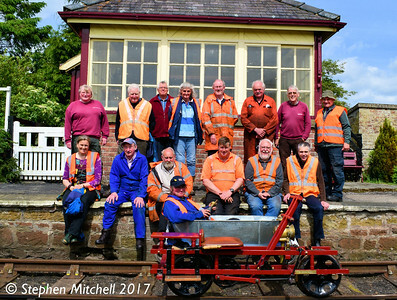 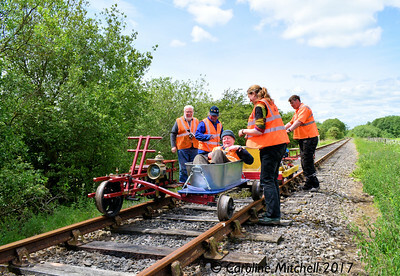 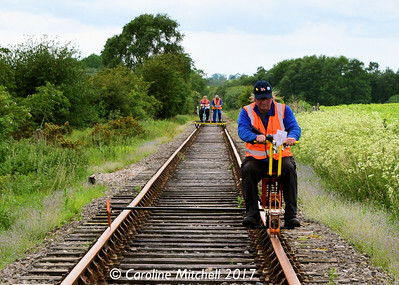 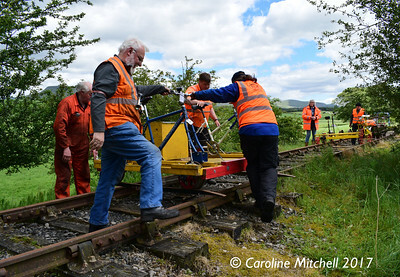 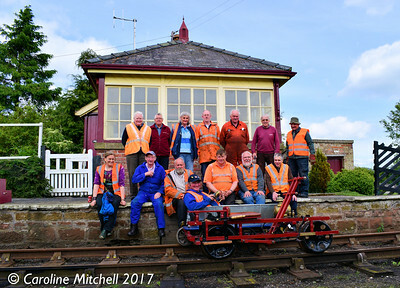 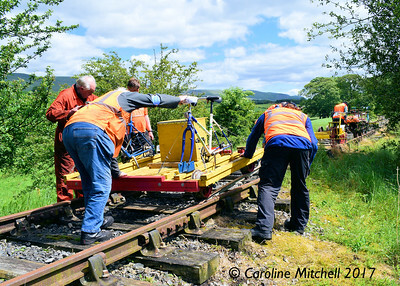 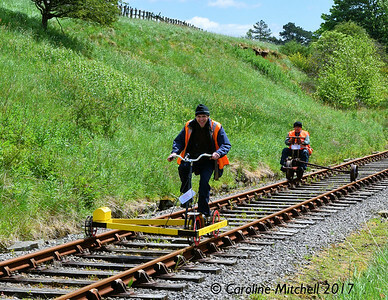 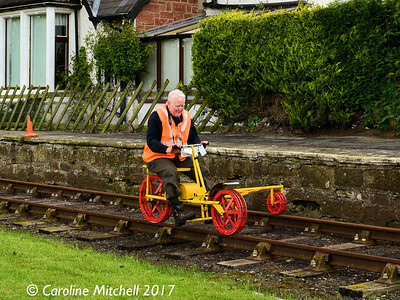 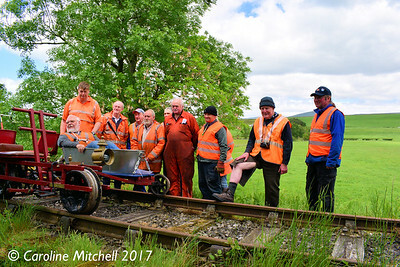 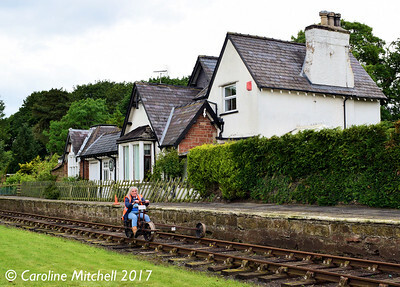 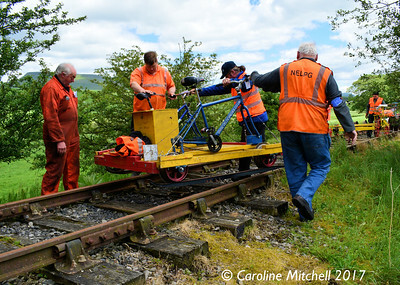 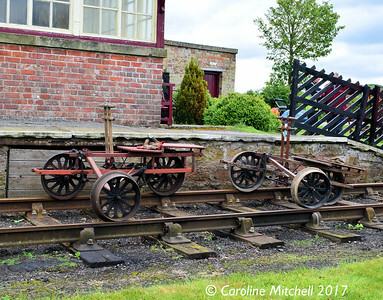 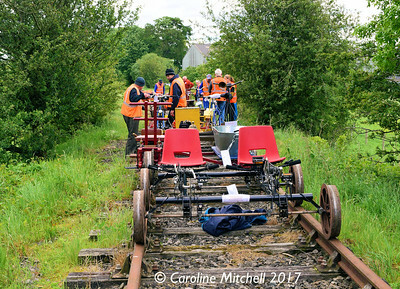 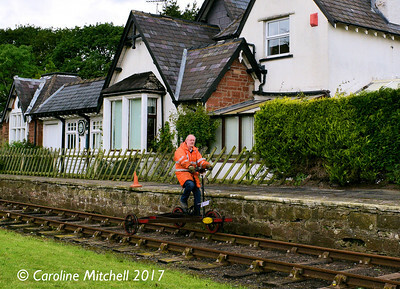 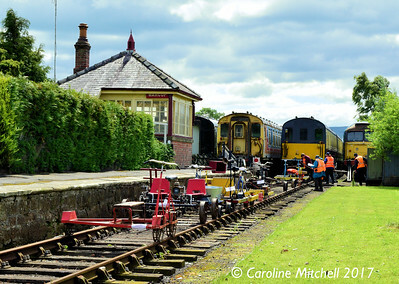 Photos taken at a Velocipede Group rally held on the Eden Valley Railway on 7th & 8th June 2017. 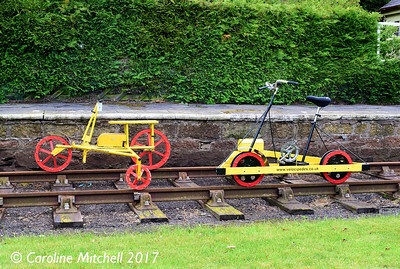 Due to inclement weather on the 8th all these shots were taken on the 7th. 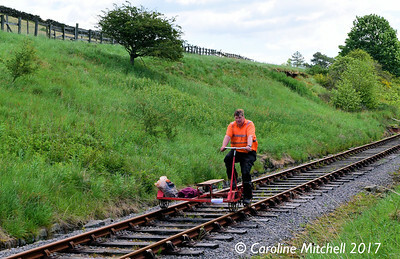 Whilst waiting in Wildboar Cutting for the velocipedes to come past I was being closely watched by a pair of buzzards. 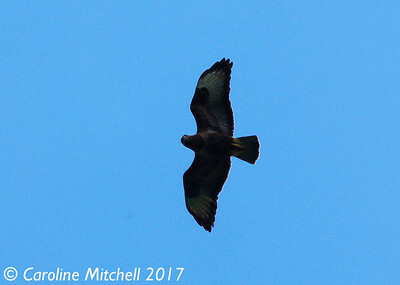 They circled overhead but did not come too close, perhaps because I kept pointing a camera with a large lens at them. 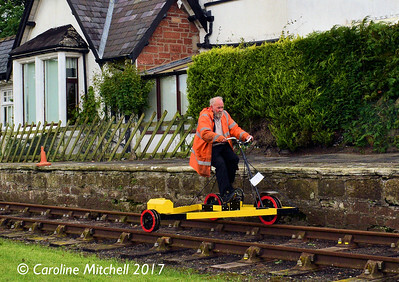 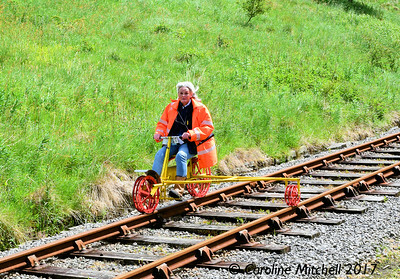 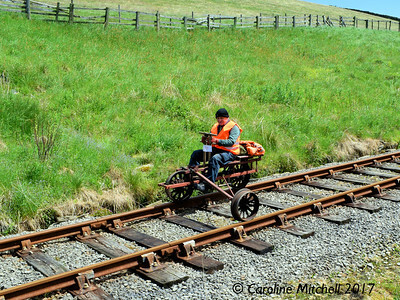 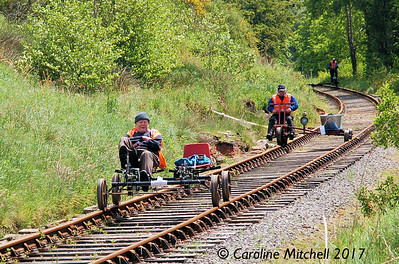 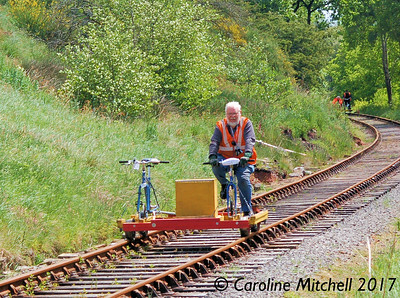 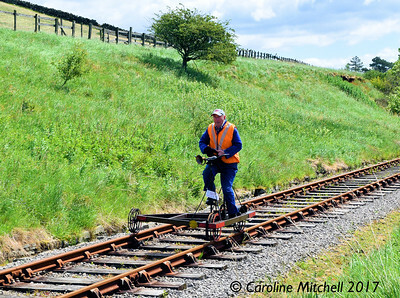 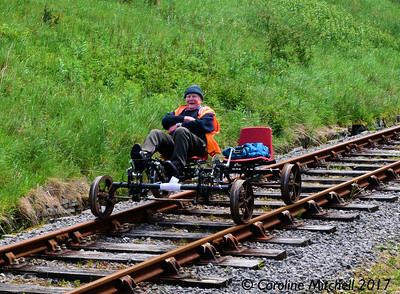 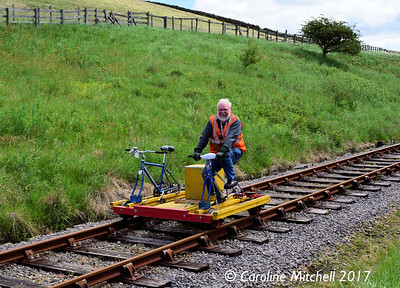 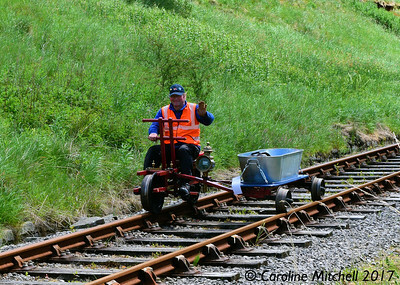 The Eden Valley Railway's own velocipede Fred was first away from Warcop and so was first to the end of the line, which for this event only was extended, courtesy of Sustrans, to a point about half a mile beyond the normal limit of passenger working. 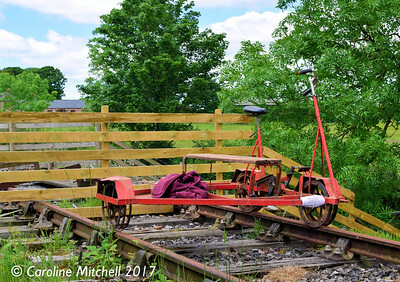 Fred, very much a working velocipede which has covered many miles on the Eden Valley Railway is seen here at the fence preventing further progress between Old Hall and Far Bank End farms.